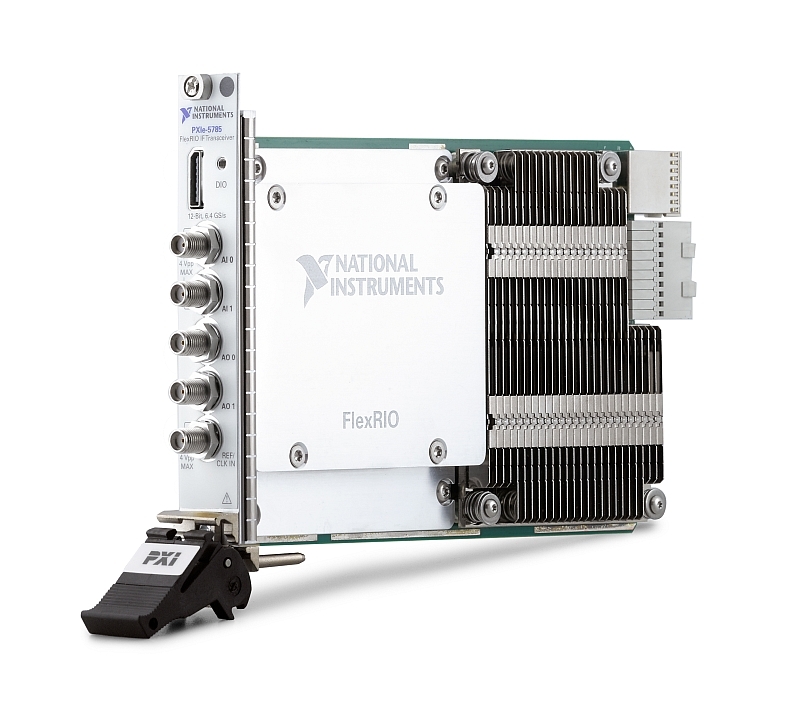 National Instruments is expanding its range of PXI modules using Xilinx FPGA with the PXIe-5785 FlexRIO model, which aims to shorten the design cycle for advanced radar applications in the aerospace and defence industries. The NI PXIe-5785 transceiver module directly acquires RF signals up to 6 GHz and generates them up to 3 GHz with 12-bit resolution. The embedded Xilinx Kintex UltraScale FPGA allows to realize customized algorithms for real-time signal processing. The acquisition rate of the NI PXIe-5785 module reaches 3.2 GS/s in two-channel mode or 6.4 GS/s in single-channel interlaced mode. According to National Instruments, this conversion rate is essential for the latest generation radar systems where increased RF bandwidth improves spatial resolution, leads to fewer false detections and allows the use of sophisticated electronic protection techniques. The PXIe-5785 module is designed for applications that require broadband acquisition and generation with multi-channel synchronization. The FlexRIO driver supports the acquisition and generation of waveforms. The Xilinx Kintex UltraScale FPGA embedded in the PXI module is programmable under LabVIEW to implement customized algorithms for real-time signal processing. 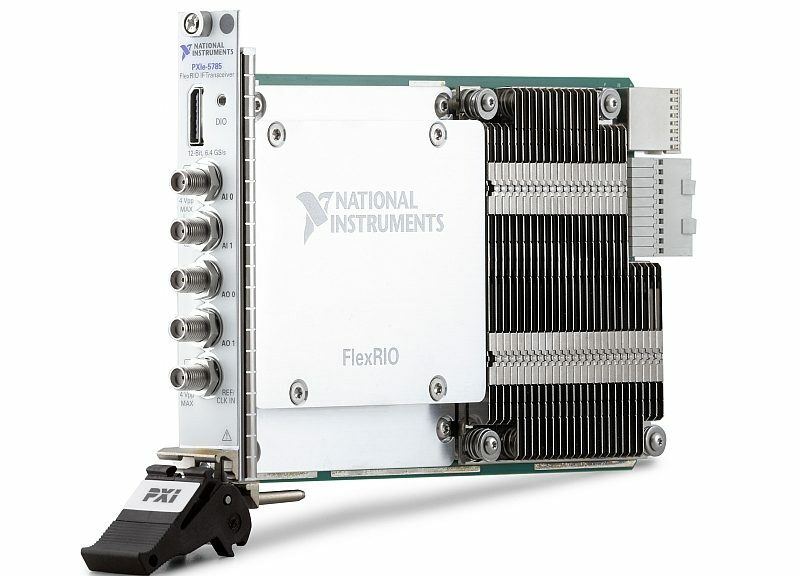 Direct sampling of RF signals by the PXIe-5785 FlexRIO transceiver is, according to NI, particularly important when designing systems such as active phase-array radars, whose beams are formed from hundreds or even thousands of antennas.